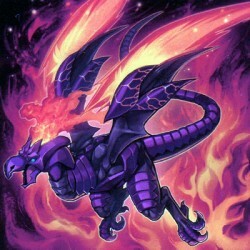 Activate 1 of these effects; :- If you control an "Odd-Eyes" card: Target 1 card on the field; destroy it. :- Add to your hand, 1 Level 7 "Odd-Eyes" monster from your Deck, or 1 face-up Level 7 "Odd-..
Pendulum Effect:- Once per turn, at the start of the Damage Step, when your "Performapal" monster battles an opponent's face-up monster: You can make that opponent's monster lose 600 ATK (even if this..
Pendulum Effect:- Once per turn, if your "Performapal" monster battles an opponent's monster, before damage calculation: You can make that opponent's monster lose ATK equal to the difference between i..
Pendulum Effect:- You cannot Pendulum Summon monsters, except WIND monsters. This effect cannot be negated. You can discard 1 WIND monster, then target 1 of your banished WIND monsters; add it to your..
Fusion Summon 1 Fusion Monster from your Extra Deck, using monsters you control as Fusion Materials. If you have 2 cards in your Pendulum Zones, you can also use cards in your Pendulum Zones as Fusion..
1 "Edge Imp" monster + 1 "Fluffal" monster. When this card destroys an opponent's monster by battle: You can inflict 1000 damage to your opponent. If this face-up card is destroyed by battle, or leave..
Target 1 "Frightfur" monster in your Graveyard; Special Summon it. During your Main Phase, except the turn this card was sent to the Graveyard: You can banish this card from your Graveyard, then targe..
Target 1 "Raidraptor" monster you control; Special Summon 1 monster with the same name from your Deck, and if you do, as long as you control the face-up Special Summoned monster, monsters your opponen..
You can Ritual Summon this card with "Machine Angel Ritual". If this card is Ritual Summoned: You can destroy as many face-up monsters your opponent controls as possible that were Special Summoned fro.. This card can be used to Ritual Summon any "Cyber Angel" Ritual Monster. You must also Tribute monsters from your hand or field and/or shuffle Fairy or Warrior-Type monsters from your Graveyard into t..